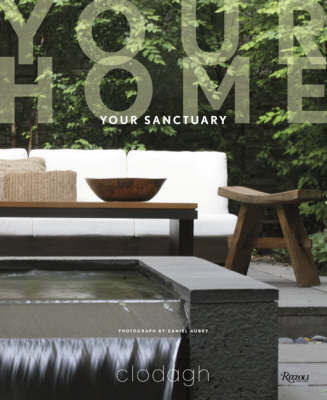 Celebrating over 20 years of award-winning designs, 'Your Home Your Sanctuary' celebrates Clodagh's expertise as a leading designer in creating eco-friendly homes. "An inspiring guidebook for green design." ~"San Francisco Chronicle"
,,". "Clodagh was green before most of us knew there was a problem..." ~"Metropolitan Home"
"luxurious yet minimalist designs fill the pages of this book..." ~"Newsday"
"An inspiring guidebook for green design." "San Francisco Chronicle "
". "..Clodagh was green before most of us knew there was a problem..." "Metropolitan Home"
". "..perhaps the most beautiful pages are simply juxtapositions of atmospheric images, come of them interior details and some details from nature: grass, tree trunks, water, pebbles, even a wild hare. More than any of the practical advice in the text, these visual collages tell us about Clodagh's sensibility." "InteriorDesign.net Magazine"